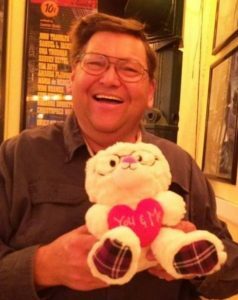 I finally answered an email from a University of Texas student who complained about finding a Teddy Trillion Dollar Bill Gospel tract on the ground. He had numerous concerns and questions about using these Gospel tracts. You can read the original post here, but his entire email is italicized in this post with my answers in red. My name is Steve Sanchez and I’m a pastor at Community Church of the Hills in Johnson City, just up the road from y’all about 90 minutes. 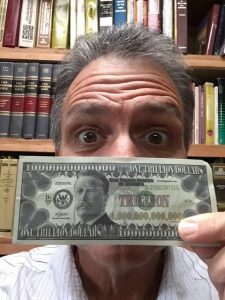 That trillion dollar bill probably came from one of our evangelism team members because I encourage all Christians everywhere to pass them out. That website on the back was from my former church in California where I used to be an associate pastor. One of the pastors there received your email and forwarded it to me so I could respond to your questions and concerns. I’d be happy to do so. Please read my answers in red. Hello! I’m a student at UT Austin, and I was walking around the library when I saw a dollar bill on the ground with Teddy Roosevelt’s face on it (obviously fake, because he’s never been on a bill). Curious, I picked up the bill and saw it was a Trillion Dollar Bill (wahoo, I’m a trillionaire! ), with a statement on the back about the trillion dollar question being “Will you go to heaven when you die?”. That is the most important question you can ever answer! Seeing this, I have to ask, what is the reasoning behind using these bills? It’s definitely not going to get any converts. 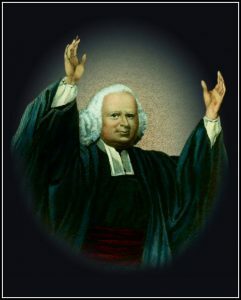 The reasoning is this: People can read the Gospel tract, in this case, your trillion dollar bill, believe, and repent! They will have their sins forgiven by simply believing the message! 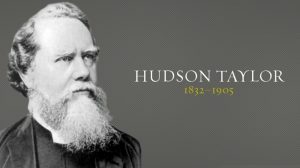 A Gospel tract was also used to bring the great China missionary, Hudson Taylor (1832-1905) to faith. 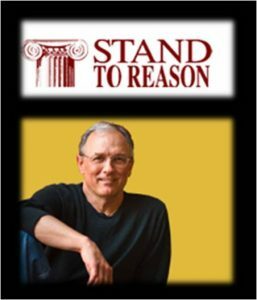 Greg Koukl, a former pastor at my church in California, Hope Chapel, read a tract that was put in the bottom of his grocery bag by someone he calls “a brave soul.” He now has a Christian apologetics ministry called Stand to Reason (STR.org). And a close personal friend of mine named Jerry Zell gave his life to Jesus because he read a Gospel tract. A waiter/waitress whose just spent 30 minute waiting on a table that didn’t even pay for the service definitely isn’t going to appreciate what would seem like a snide comment from a holier-than-thou person. I agree, which is why I teach to always leave a generous tip when leaving one (see above). A homeless person who literally has to grovel at people’s feet to earn barely enough money to satiate the hunger they feel isn’t going to say “You know what? I guess I didn’t need that money, I really just need Jesus”. They’re going to be angry, upset, and scared, and even though spirituality is important, in moments of desperation and starvation, a stern lesson handed out on a fake bank note isn’t what’s going to save that person. Again, I agree. But I must ask: Have you ever witnessed a Christian giving a trillion dollar bill to a homeless person in lieu of real money or help? I don’t think it’s fair to castigate all of Christendom based on an assumption, even though I’m sure that someone, somewhere may have given phony money to a homeless person at sometime. I apologize if this email comes off as heavy-handed or insulting, I truly don’t mean it to sound like that. I know. I appreciate your heart-felt concerns! In other words, people become atheists becasue they suppress the knowledge of God as evidenced by creation all around them, which obviously points to a Creator! No one in Hell can say they are there because of some hypocritical, dishonest and judgmental Christian. They will be there because they are unforgiven sinners who refused to acknowledge that there is a holy God who they have offended. They will be in Hell because they rejected his gracious offering of Jesus who died for their sins on their behalf. He was buried and on the third day rose again to give everyone the hope of eternal life. All that to say, I really do want to know the reasoning behind this fake money stuff, whether it is just a handout that people are using in the wrong way, or if it was actually meant to be given out as fake money to people expecting real money. -RobbyI hope I answered all you questions. If I haven’t, by all means, contact me. I’m happy to help you further. I truly appreciate that you took the time to write. You are truly a good student!